Wow - this has been a crazy crazy week! But somehow - despite it all I have not one, not two, but THREE new releases for you today! 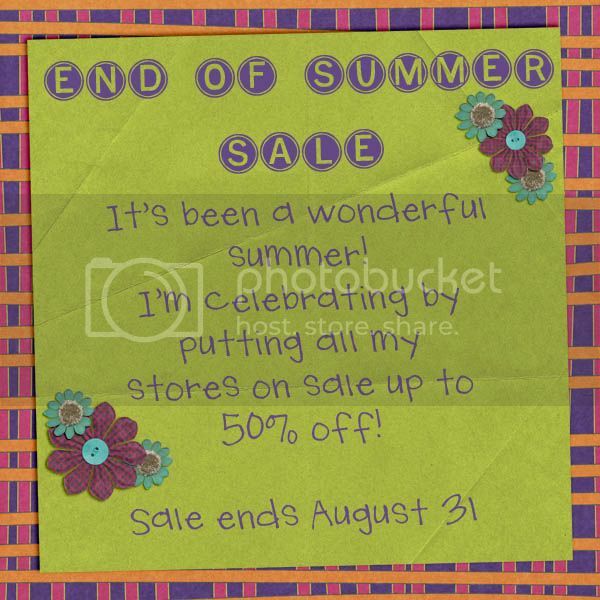 But first - I just wanted to remind you that my End of Summer Sale is still going on at all my stores until August 31st! This sale includes all my new releases! Also, I'm going to be having a special mid-week release this Wednesday, September 1st - and I am so so excited about it. 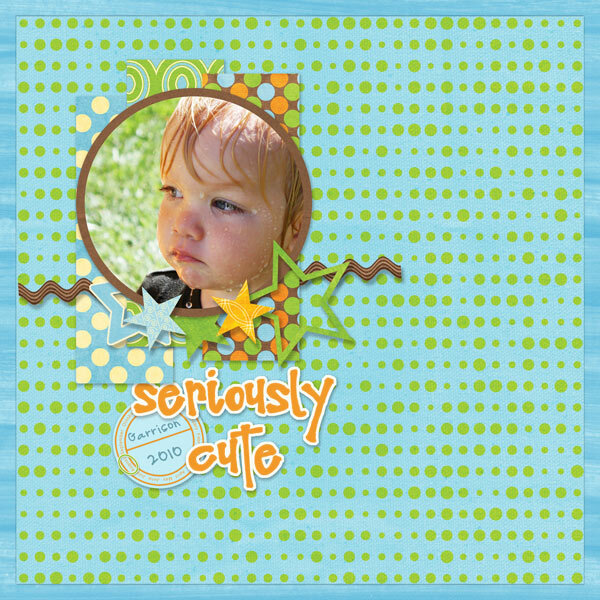 The Blog Train Blog and Digi Scraps Drive In Celebrate This (it's DSDI's birthday bash this month!) both kick off on Wednesday! 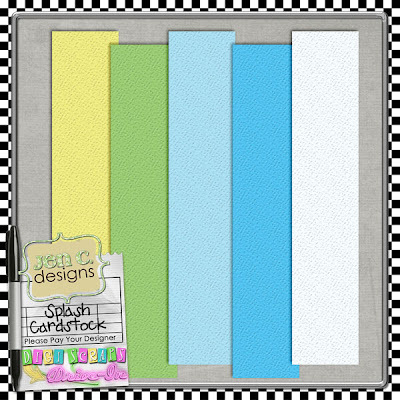 A set of 4 layered PSD papers. A set of four templates - the download includes 4 shadowed and unshadowed PSD files and also separate PNG files. Enjoy! And have a wonderful week! Today is the last day of the Digi Scraps Drive In Daily Download. I really hope you enjoyed this kit! Each daily download will be available for roughly 24 hours - from 1:00 AM CST to 11:59 PM PST. You can pick up the daily download by visiting the Digi Scraps Drive-In forum right here. 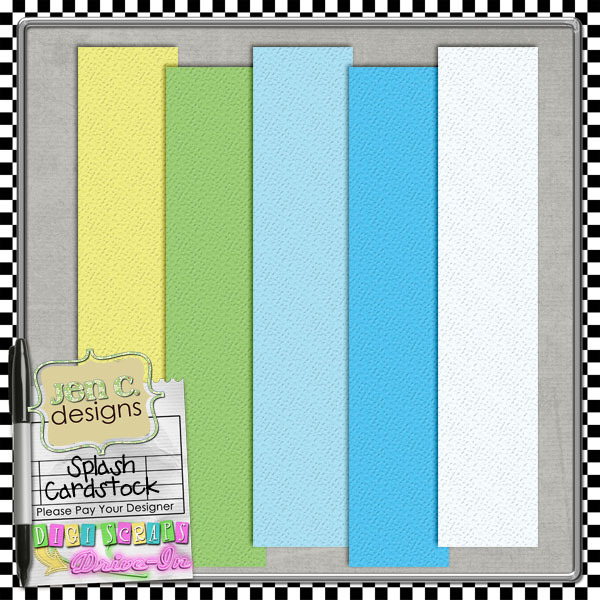 As a special bonus - I have a free set of cardstock available that goes with the kit! You can pick it up from the other day's blog post. Did you know that there are special bonuses as well? You can receive a free bonus alpha that coordinates with the kit - just check out how over at the forum. Also - if you missed any day you can pick up a maximum of 2 missed downloads by completing challenges at DSDI! Today is the ninth day of the Digi Scraps Drive In Daily Download. I hope you enjoyed yesterday's piece! The kit is called "Splash" - and will be released over the next few days. Each daily download will be available for roughly 24 hours - from 1:00 AM CST to 11:59 PM PST. I can't believe it! 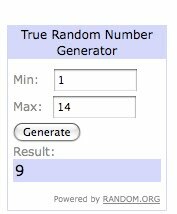 I won immunity this week - and it's all thanks to you all! Thank you all for your support with the vote! If you read this before noon today and still haven't voted, you can do so here. You can pick it up over here. Today is the eighth day of the Digi Scraps Drive In Daily Download. I hope you enjoyed yesterday's piece! 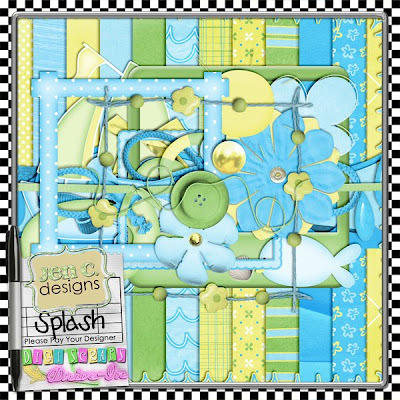 The kit is called "Splash" - and will be released over the next few days. Each daily download will be available for roughly 24 hours - from 1:00 AM CST to 11:59 PM PST. The wish list Wednesday winners for the week are Michelle Huegel (DSDI) and Laura Shaw (DSM). Each person wins one item from their wish list! Please email me at digitalsbooking@gmail dot com for your coupon code! 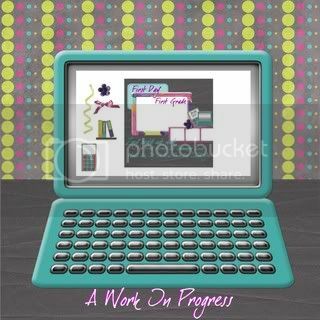 I have a little freebie for you - you can pick it up at the Brownie Scraps gallery. 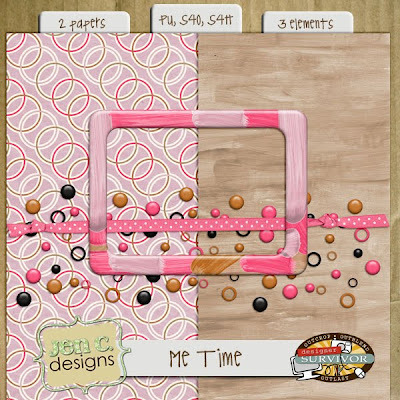 Could you also take just a second to vote for me (Me Time by Jen C Designs) in this week's immunity challenge? I would be so grateful! There will be a free kit for you on Thursday (tomorrow) too! Be sure to grab it quick - it'll only be free for 48 hours! Today is the seventh day of the Digi Scraps Drive In Daily Download. I hope you enjoyed yesterday's piece! The kit is called "Splash" - and will be released over the next few days. Each daily download will be available for roughly 24 hours - from 1:00 AM CST to 11:59 PM PST. I'm having a huge sale at all my stores! Today is the sixth day of the Digi Scraps Drive In Daily Download. I hope you enjoyed yesterday's piece! The kit is called "Splash" - and will be released over the next few days. Each daily download will be available for roughly 24 hours - from 1:00 AM CST to 11:59 PM PST. Today is the third day of the Digi Scraps Drive In Daily Download. I hope you enjoyed yesterday's piece! The kit is called "Splash" - and will be released over the next 8 days. Each daily download will be available for roughly24 hours - from 1:00 AM CST to 11:59 PM PST. 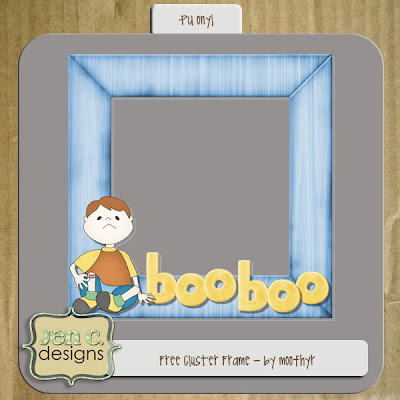 As a special bonus - I have a free set of cardstock available that goes with the kit! You can pick it up from yesterday's blog post. Today is the third day of the Digi Scraps Drive In Daily Download. I hope you enjoyed yesterday's piece! The kit is called "Splash" - and will be released over the next 8 days. Each daily download will be available for 24 hours - from 12:00 AM CST to 11:59 PM PST. Today is the second day of the Digi Scraps Drive In Daily Download. I hope you enjoyed yesterday's piece! The kit is called "Splash" - and will be released over the next 9 days. Each daily download will be available for 24 hours - from 12:00 CST to 11:59 PM PST. Today is the fist day of the Digi Scraps Drive In Daily Download. And guess what - I made it!! The kit is called "Splash" - and will be released over the next 10 days. Each daily download will be available for roughly 24 hours - from 12:00 AM CST to 11:59 PM PST. As a special bonus - I have a free set of cardstock available that goes with the kit! Sorry - this freebie has expired. You can vote over in the Brownie Scraps forum! Vote for Team Staples!! 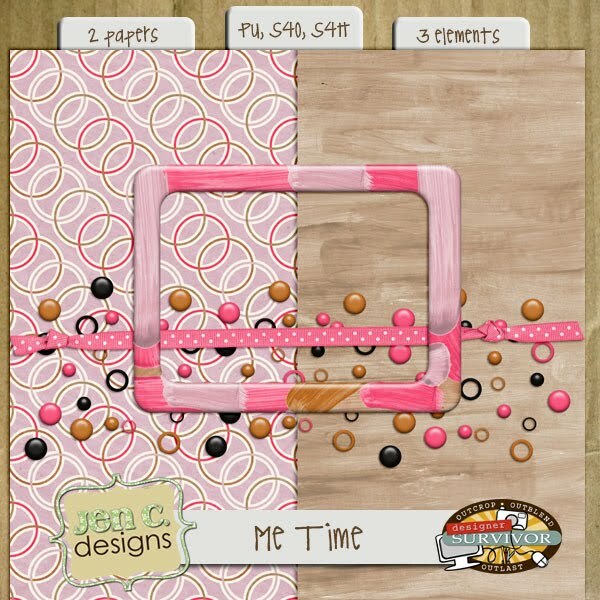 You can also pick it up for free in the Brownie Scraps gallery! If Team Staples wins, I will give all my followers/fans a coupon!! We would love immunity!! I've got a surprise coupon for you! It's good until Friday at midnight - but only at my personal store! Save 40% on any order of $4 or more! I have a brand new kit out today! It's a back to school kit - and more! This is was inspired by the memories I have of my parents telling me that my years in high school were the best days of my life. While at the time, I disagreed, I see what they were talking about! This kit is more than just a back to school kit. There are some specific school items - but it works equally well as an "everyday" kit too! This kit is S4H/S4O okay! Whitney! Please email me at digitalsbooking@gmail.com for your coupon! Everything in my store is either $1 or massively on sale!! I've been hosting the DSDI Color Challenge for a couple of months - and one of the most common questions I'm asked is "how do I even create a mini kit?" **First important note - most/all require that you modify the item in some way before including it in a kit - check TOU for specifics. Items can be recolored (tut on that coming tomorrow! this is where you palette selection comes into play!) or you can create element clusters, etc. **Last important note - if you're looking to create full size (regular) digi-scrap kits - do not download Tagger size kits/resources - they'll be the wrong size for what you want! Hope you've found this helpful! Please leave a comment if you did! I'd love to hear your feedback - and suggestions for more things you'd like to learn about! I've got a new kit coming out on Monday - it's a back to school kit - but is incredibly versatile and can be used to everything! To win it, just post a comment below! You can also enter to win this kit at DST and DSA!